In less than a decade, hackers have gone from marginal political actors to talking points at presidential debates. Hillary Clinton’s emails and Donald Trump’s 400-pound hacker are only the most recent evidence of hacking’s ascendance in the political sphere. Hacking’s popularity has verged on infamy at times. Fears of foreign spying, “unpatriotic” leaks, and cybercrime abound. Accounts of WikiLeaks and Anonymous, two of the most famous hacktivist forces, have been colored by these concerns. Contrary to these negative accounts, hacktivism can be a legitimate and effective form of political action. However, not all hacktivism is the same. 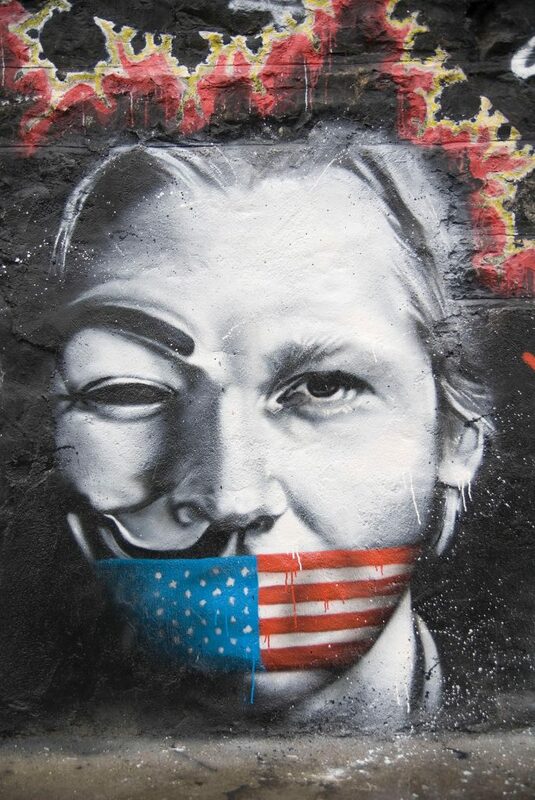 In this article, I seek to differentiate the hacktivism of WikiLeaks from that of Anonymous by articulating the models of politics the two forms of digital activism represent. WikiLeaks’s fetishization of truth begets a technocratic politics, while Anonymous’s emphasis on opinion encourages a more democratic practice. Understanding this distinction helps to illuminate the particular implications of their political action, which are obscured by the conflation of the two hacktivist groups. The connection between truth and technocracy is at least as old as Plato. Plato’s philosopher-kings’s rule is based on their knowledge of the “Forms.” Knowledge of the Form of the Good allows for knowledge of all observable things as worldly manifestations of the invisible Forms. 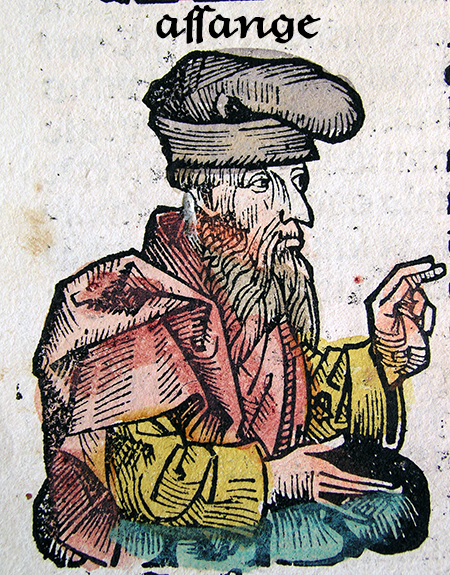 To approach such knowledge, philosophers require a rigorous and technical education, which includes arithmetic, geometry, astronomy, and dialectic. Those who achieve knowledge of the Forms gain access to the Truth, which is superior to “mere opinion” because it is eternal and unchanging. It is self-sufficient and does not require input from “the people.” Knowledge of the Forms offers a kind of blueprint for ruling; in the Republic, Socrates suggests, “there is no way a city can ever find happiness unless its plan is drawn by painters who use the divine model” (Plato 2004:500e1–e3). 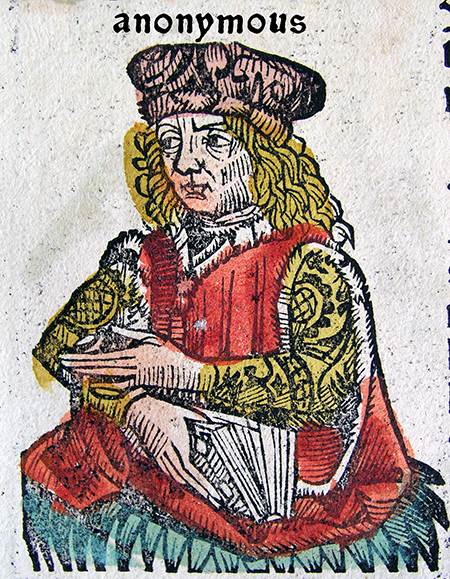 Plato compares the political leader to “the physician, weaver, and artist,” all technocrats in the literal sense as it refers to “craftsmen,” or “artists” working with “passive material receptive to the impress of the Idea” (Wolin 2004:43). In the words of Hannah Arendt, “the philosopher-king applies the ideas [Forms] as the craftsman applies his rules and standards; he ‘makes’ his City as the sculptor makes a statue” (1958:227). The trouble is that factual truth, like all other truth, peremptorily claims to be acknowledged and precludes debate, and debate constitutes the very essence of political life. The modes of thought and communication that deal with truth, if seen from the political perspective, are necessarily domineering; they don’t take into account other people’s opinions, and taking these into account is the hallmark of all strictly political thinking (1993:241). Unlike truth, opinion is fallible, but this is its value for Arendt because it makes room for democratic discourse and debate. Like WikiLeaks, Anonymous is also concerned with truth, but unlike WikiLeaks, their hacktivism reflects the centrality of opinion to politics. Although it is discussed far less than their commitment to free speech, opposition to censorship, and love of “the lulz,” opinion is the substance of both their internal communication and external actions. Before, during, and after operations, “Anons” correspond with one another almost continuously on IRC (internet relay chat), and through their discussions they form a community, as many become known to one another by their hacker handles. Multiple IRC networks and channels and Twitter accounts are active at all times. Hanna Pitkin once criticized Arendt’s concept of “the political” with its idealization of Athens by quipping, “what is it that they talk about together, in that endless palaver in the agora?” (1981:336). Online members of Anonymous seem to have created an unembellished version of this ideal as their continuous conversations run the gamut from the not serious at all to the extremely serious (and often both at the same time). The absence of official dogma allows for the coincidence of multiple and at times conflicting opinions. Anonymous has staged protests against Scientology, Sony, and BART, and in support of WikiLeaks, the “Arab Spring,” and Occupy, among many others. In carrying out their operations, Anonymous employs a variety of tactics, including distributed denial of service (DDoS) attacks, website defacement, data dumps, physical protest, press releases, consciousness-raising through videos, hacks, leaks, and various kinds of pranks (see Coleman 2014; Norton 2012). While they may not rise to the level of discourse, such tactics are expressive. They are better understood as expressions of opinion and prods to opinion formation and reformation than as edicts of truth. Both internally and externally, Anonymous is constantly undertaking the work of opinion formation and expression rather than allowing truth to do the work of politics for them. In this way, Anonymous engages in democratic praxis. It is not that WikiLeaks’s hacktivism is incompatible with democracy; leaking can expose wrongdoing and often leads to positive change. Factual truth is essential to politics for a number of reasons, not least of which is that “facts inform opinions,” which means that “freedom of opinion is a farce unless factual information is guaranteed and the facts themselves are not in dispute” (Arendt 1993:238). The problem is that the technocratic fetishization of truth can have antidemocratic effects. Truth has, in Arendt’s words, a “despotic character” like that of the philosopher-kings: its rule is absolute (1993:241). By contrast, in “matters of opinion…validity depends upon free agreement and consent; they are arrived at by discursive, representative thinking; and they are communicated by means of persuasion and dissuasion” (Arendt 1993:247). Arendt notes that “the shift from rational truth to opinion implies a shift from man in the singular to men in the plural” (1993:235). While opinion entails community, truth requires only a single representative. Thus, when politics is understood primarily in terms of truth, the demos may be devalued. This danger echoes in the internal politics of WikiLeaks itself. Famously, Assange is alleged to have suspended Daniel Domscheit-Berg from WikiLeaks for “disloyalty, insubordination and destabalization [sic] in a time of crisis” (Domscheit-Berg and Klopp 2011:227). When WikiLeaks volunteer Herbert Snorrason questioned Domscheit-Berg’s suspension, Assange is said to have responded, “I am the heart and soul of this organization, its founder, philosopher, spokesperson, original coder, organizer, financier and all the rest. If you have a problem with me, piss off” (Zetter and Poulsen 2010). Elsewhere, Assange has admitted to considering himself “a bit of a vanguard” (Assange et al. 2012:84). Anonymous’s emphasis on opinion helps to insulate the collective against the tyranny of philosopher-kings. Opinion is dependent on a community (both real and imagined) for its validity; lacking the “force of truth,” it relies on consent (Arendt 1993:240). In this way, opinion entails a community by consent. Understood in terms of voluntary engagement rather than consensus, Anonymous can be said to be such a community by consent. Gabriella Coleman has described Anonymous as a “wily hydra”—a loosely coordinated collective of changing (and at times conflicting) associations without “a stable hierarchy or a single point of control” (2014:48,75). It is perhaps best understood as a “do-ocracy,” or a system “rule[d] by sheer doing,” in which “Individuals propose actions, others join in (or not), and then the Anonymous flag is flown over the result” (Norton 2012; see also Coleman 2014:75). As Coleman points out, “some Anons are more active and influential than others—at least for limited periods” (2014:75). However, no one could ever say that he or she was “the heart and soul of this organization, its founder, philosopher, spokesperson, original coder, organizer, financier and all the rest” in reference to Anonymous. Opinion’s communal nature demands as much. There is a way in which WikiLeaks and Anonymous are both technocratic and both democratic: both embrace technological expertise and have expressed a commitment to democracy. These similarities help explain why the two are so frequently grouped together and the distinctions between them collapsed. Yet, while both WikiLeaks and Anonymous have technocratic and democratic elements, their participation in the categories is not uniform. Their differing relationships to truth and opinion mark a definitive divide between the groups. The two can function well together, working to temper each other’s excesses, but from the perspective of democracy, WikiLeaks’s excesses are more troubling than those of Anonymous. The pitfalls of WikiLeaks’s model of politics surfaced during the recent U.S. presidential election, as the organization’s leaks appeared to target only one of the candidates, thus implicitly endorsing the other. While both Anonymous and WikiLeaks seek to influence democratic discourse, WikiLeaks approaches politics from a position outside of the demos, in the role of truth-teller. Eliding the influence of its own curatorial opinions on its truths, WikiLeaks opens itself up to the charge of manipulation. The inability, or unwillingness, of WikiLeaks to recognize the relationship between its truths and its opinions leads the organization to risk harming the system it claims to serve. For a description of the evolution of cypherpunk thought, see Levy (2001). Incidentally, as Arendt notes, “Plato…believed that mathematical truth opened the eyes of the mind to all truths” (1993:230). Gabriella Coleman defines “the lulz” as “a deviant style of humor and a quasi-mystical state of being” (2014:2). That truth is necessary in politics amounts to a truism, and yet “No one has ever doubted that truth and politics are on rather bad terms with each other” (Arendt 1993, 227). The rise of “alternative facts” is a reminder of just how important, and fraught, the relationship is. Interestingly, Assange has described Plato as “a bit of a fascist” (Baird 2013). “Representative” thinking involves “considering a given issue from different viewpoints,” which requires “being and thinking in my own identity where actually I am not” (Arendt 1993:241). ———. 1993. “Truth and Politics.” In Between Past and Future: Eight Exercises in Political Thought, pp. 227–264. New York: Penguin. Assange, Julian. 2010. “Don’t Shoot Messenger for Revealing Uncomfortable Truths.” The Australian, December 8. Available at link. Assange, Julian, Jacob Appelbaum, Andy Müller-Maguhn, and Jérémie Zimmermann. 2012. Cypherpunks: Freedom and the Future of the Internet. New York, NY: OR Books. Baird, Julia. 2013. “Assange as Tyrant?” New York Times, September 14. Available at link. Coleman, Gabriella. 2014. Hacker, Hoaxer, Whistleblower, Spy: The Many Faces of Anonymous. New York: Verso Books. Domscheit-Berg, Daniel, and Tina Klopp. 2011. Inside WikiLeaks: My Time with Julian Assange at the World’s Most Dangerous Website. Translated by Jefferson Chase. New York, NY: Crown. Levy, Steven. 2001. Crypto: How the Code Rebels Beat the Government—Saving Privacy in the Digital Age. New York, NY: Viking. Mill, John Stuart. 2006. On Liberty and The Subjection of Women. Edited by Alan Ryan. New York, NY: Penguin. Norton, Quinn. 2012. “How Anonymous Picks Targets, Launches Attacks, and Takes Powerful Organizations Down.” Wired, July 3. Available at link. Pitkin, Hanna Fenichel. 1981. “Justice: On Relating Private and Public.” Political Theory 9(3):327–352. Plato. 2004. Republic. Translated by C. D. C. Reeve. Indianapolis, IN: Hackett. Urbinati, Nadia. 2014. Democracy Disfigured: Opinion, Truth, and the People. Cambridge, MA: Harvard University Press. WikiLeaks. 2011. “About: What is WikiLeaks?” May 7. Available at link. Wolin, Sheldon S. 2004. Politics and Vision: Continuity and Innovation in Western Political Thought. Princeton, NJ: Princeton University Press. Zetter, Kim, and Kevin Poulsen. 2010. “Unpublished Iraq War Logs Trigger Internal WikiLeaks Revolt.” Wired, September 27. Available at link.